When you’re looking for one last vacation before your new baby joins the family, Cabo is a great place to relax. 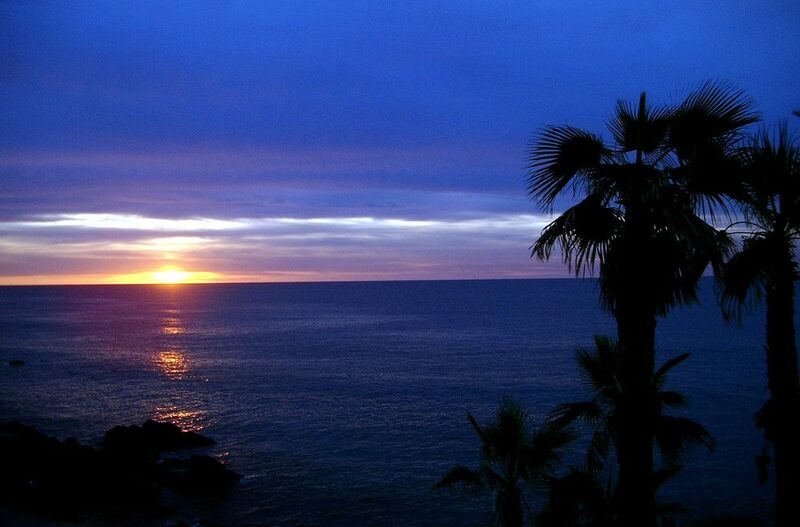 Here are some of the things you might enjoy on your Cabo babymoon. Parenting is an incredible blessing and an enormous responsibility. By today’s averages, your next 18-20 years will be spent preparing this young life to launch out on their own. If you are going to get away for some fun in the sun, you and your partner need to do it now. You need a babymoon. Babymoons are the current trend for expecting parents, especially first-timers. Couples take them in any trimester, although most tend to go in the 25-32 week range. These are not extreme adventure vacations but instead focus on relaxation and beautiful environments (after all, your extreme adventure in parenting is right around the corner). Most couples choose locations with beaches, mountain views, scenic sunsets, and short hikes. Don’t forget the exotic food! There may be many hot dog and macaroni and cheese dinners in the near future. Cabo San Lucas offers everything you could desire in a babymoon. Gorgeous beaches, some of the clearest waters in the Pacific, and one of the world’s most diverse collection of ocean life around their coral reef. Marine biologists from all over the world flock to Cabo San Lucas to study the incredible ocean wildlife, so you can be sure to find beautiful scenery all year long. Yes, that’s right, Cabo San Lucas is located at the southern tip of the Baja Peninsula in the Northwestern Mexican State of Baja California Sur. It is fun in the sun, all year long. What kind of adventures await you in Cabo San Lucas? There are many modes of travel in Cabo San Lucas, but with the amount of ocean surrounding those luscious beaches, sailing is right there at the top. Why not take advantage of your transportation needs and turn them into a tour? From the beach to the reef, and back to visit downtown Cabo and the cultural delights found there, you can travel by sailboat and soak in the gorgeous ocean sights. There are sailboat cruises all day long, concluding with breathtaking sunset cruises in the evening. 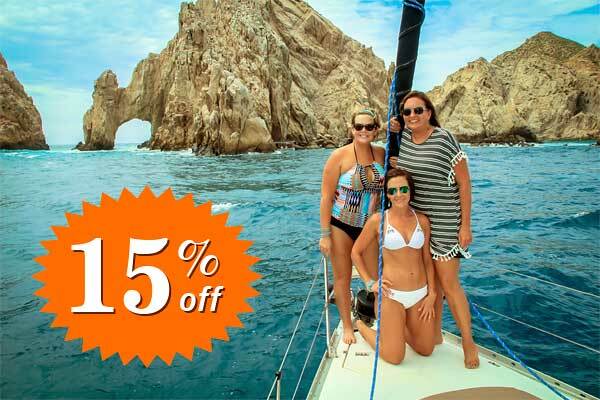 The day trips will give you the most beautiful views of Cabo San Lucas from the water. Morning and Mid-Day cruises are three hours long and include a light lunch and snacks on the boat. There are also opportunities for snorkeling along the way. See the beautiful sights above and below the water. The sunset cruises are 2-3 hours long offer some of the best sunsets in the world. You can make the trip even more memorable and romantic by booking a private yacht. December through March, you can take advantage of the whale migration season when humpback and gray whales come from all over the Pacific Ocean to visit the Sea of Cortez off the coast of Cabo San Lucas. It is not uncommon to find calves swimming with the mothers at this time. All tours are done with the safety of everyone in mind, and your guide will find the best position for you to enjoy the powerful display of these majestic mammals without causing undue harassment to them in their own travels. These tours are committed to eco-friendly whale watching. Don’t miss out on this once-in-a-lifetime opportunity. Cabo San Lucas has plenty to offer all varieties of tastes, both traditional and international. Cabo is world famous for fish tacos, and while many places have tried to imitate it, there is nothing like authentic Cabo San Lucas fish tacos. They also have a delicacy called chocolate clams, which are stone cooked with a local herb known as “romerin.” Another one of their famous dishes is smoked marlin, which has many variants all across Mexico. The majority of the food scene in Cabo San Lucas revolves around ocean fare — lobster, shrimp, crab, squid, abalone, stingray, and other fish. However, for those who favor food from the land, Cabo offers some of the best chicken and pork tamales, which they prepare with olive oil, raisins, and olives. Food from the vine is the heart of authentic Cabo cultural delicacies, and they have unique ways of mingling olives and grapes (or raisins) that bring exciting new flavors to traditional Mexican entrees. There are plenty of land excursions to be found in Cabo as well. There is golfing, hiking, horseback, and even camel riding tours. You can visit traditional villages and learn to make tortillas from scratch while engaging in the traditions of a rustic village on the Baja peninsula and the Northwestern Coast of Mexico. You can’t beat the scenery in Cabo San Lucas. Few places in the world offer such fantastic views of the ocean, seashore, cliffs, mountains, and desert… all in one place. Photographers adore Cabo for this very reason, so be sure to pack your camera and take plenty of pictures of these precious memories you make here. If you are feeling the mid-pregnancy blues and need one last break from it all before the baby arrives, you won’t be disappointed with all that Cabo San Lucas has to offer you.